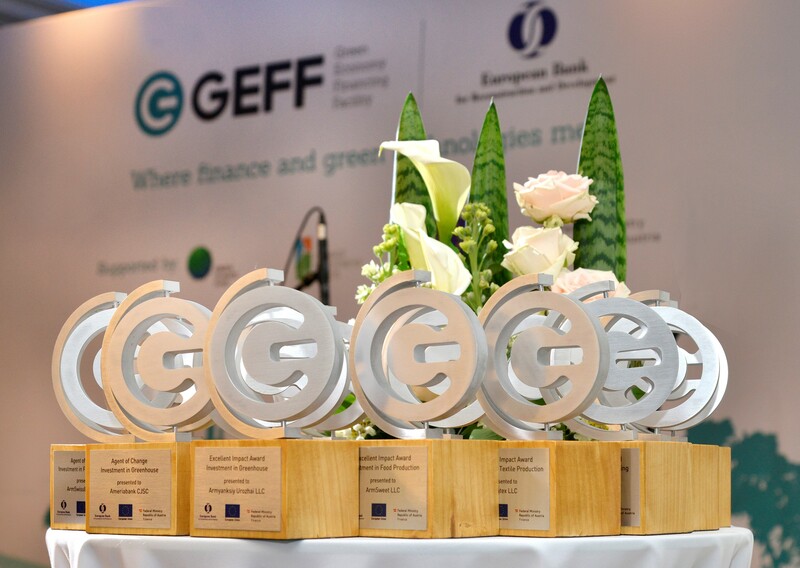 During the official ceremony in Yerevan today, the EBRD and its partners have awarded the best energy efficiency and renewable energy projects financed in Armenia through the EBRD Energocredit facility. The EBRD Energocredit facility, that was supported by the EU and the Government of Austria and is nearing its completion, provided funds to Armenian financial institutions for on-lending to private sector companies and to households. The Programme facilitated industrial and residential investments in green technologies enabling a more efficient use of energy in the country. 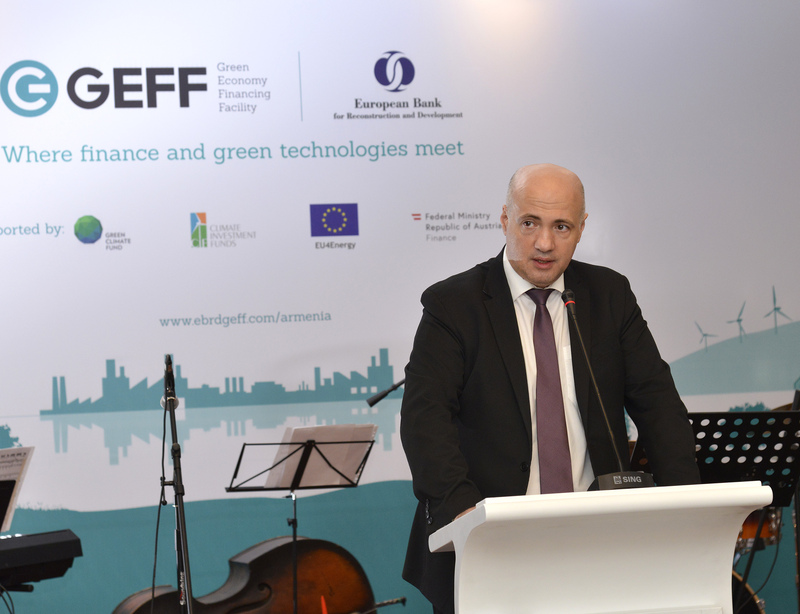 In response to continuing high demand, the EBRD has started a new phase of the programme in Armenia, the Green Economy Financing Facility (GEFF), which was officially launched on the 19th February 2019 during the Gala event attending by the Senior Government Officials as well as all partner banks and representatives of the European Union Delegation and the EBRD. 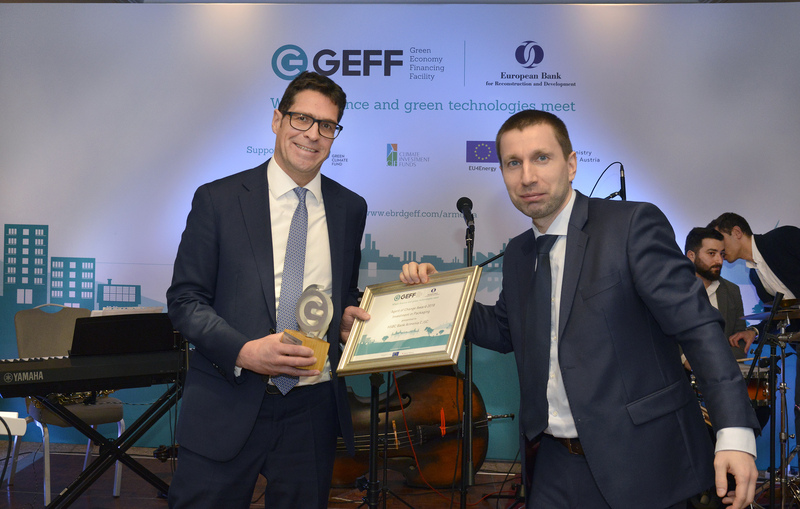 The awards ceremony recognised 6 best energy efficiency projects for their contribution to significant reductions of greenhouse gas emissions in Armenia. 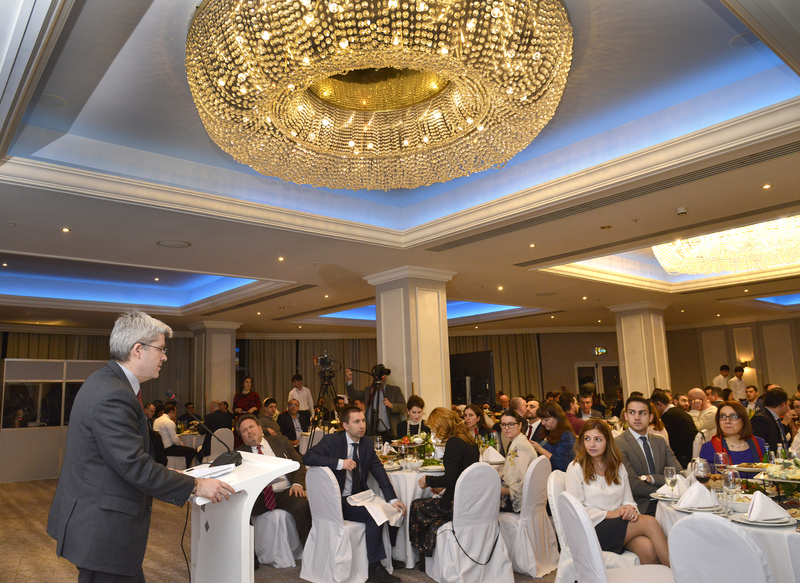 Since the launch of Energocredit in 2013, Armenian companies received over €27 million in green financing through seven local banks – Ameriabank, ACBA Leasing CO, Inecobank, ACBA-Credit Agricole Bank, HSBC Bank Armenia, Armswissbank, SEF International. All Energocredit partner banks were also awarded during the ceremony for their continued commitment to financing green energy projects. Armenia. It will further support businesses investing in green technologies including investments in water resource efficiency such as efficient irrigation systems. 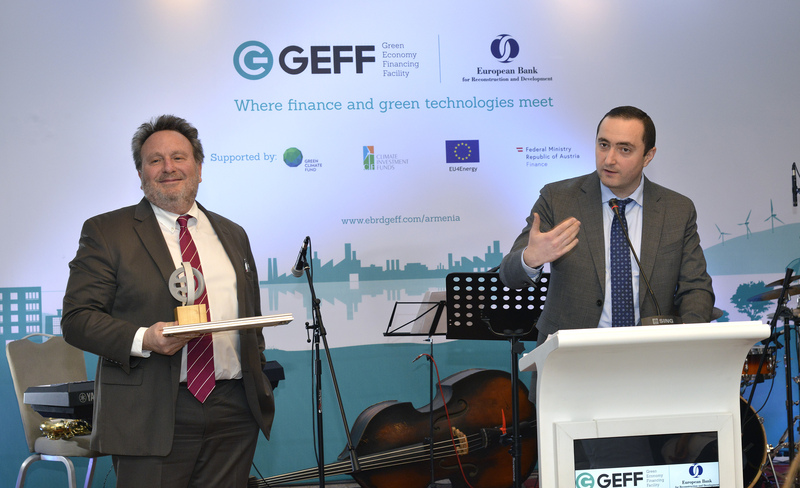 The programme will include an EBRD GEFF consultancy services based in Yerevan, co-financed by Green Climate Fund (GCF), working to support Armenian private businesses across the country in securing funding from local banks for industrial energy efficiency and renewable energy investments. In addition, the facility will offer attractive incentives of up to 20 per cent cash back on qualifying investments provided by grant funding from Climate Investment Funds (CIF). Since 2006, the EBRD has committed over €26 billion to projects supporting the transition to a green economy across the 38 economies where it currently invests. - Armyanksiy Urozhai LLC – watch the case study video. - Grand Sport LLC – watch the case study video. - Lentex LLC – watch the case study video. - Hytex Plastic CJSC – watch the case study video. - Masis Poultry LLC – watch the case study video. - Armsweet LLC – watch the case study video.